But my liquid wobble effect is not working properly. 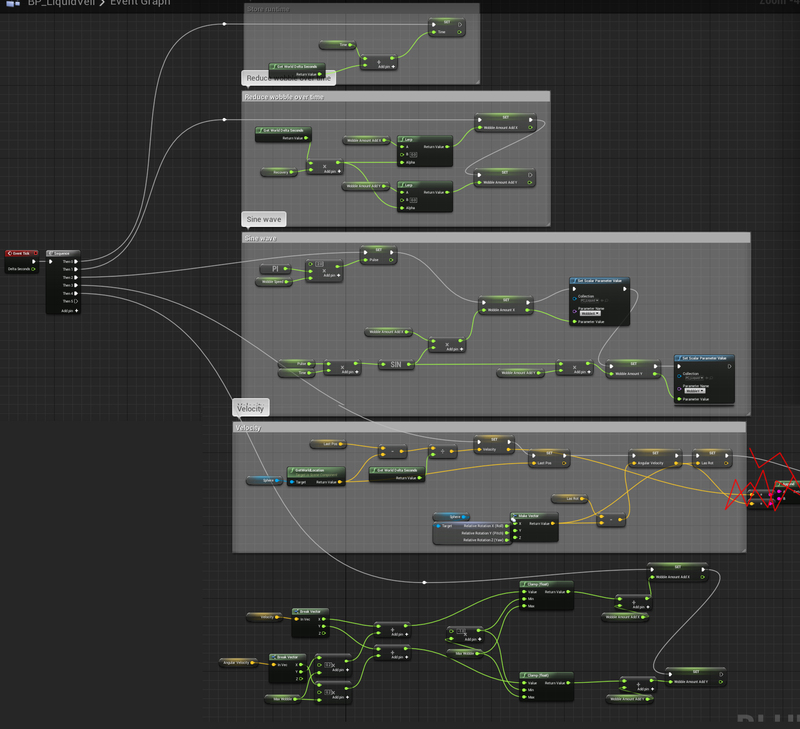 I think the problems is somewhere in my shader and not my blueprint. But I just can’t see what I’m doing wrong. Can anyone please help me out? And this is my blueprint for the wobble x and y values (reference). So, … I have also had this issue and have finally solved the whole Object Position issue when trying to rebuild Unreal shaders. Here is how I fixed it with mine by making my own shader function with Amplify called ‘Object Position’. Works beautifully! Try this out and let me know if it works! Cool for in amplify ofc :). Do you also know the correct solutions for in UE? i’ll give it a shot when i’m back home. probably won’t be until monday. i’ll try to out what he’s doing and see if i can get it to work. haven’t actually tested his stuff on my own.